“Relax” and “Pause” are two words that hold absolutely no meaning to Virgil Abloh. 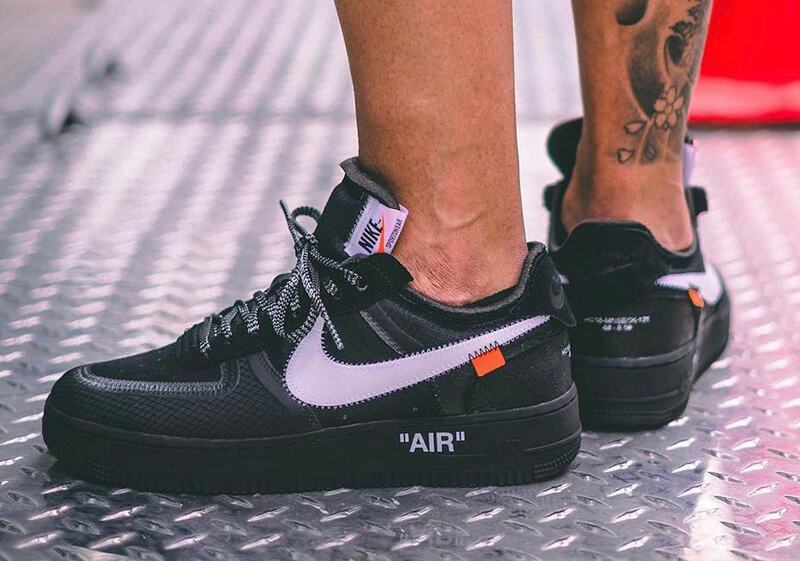 Since releasing his original “The Ten” collection in November of 2017, the multi-hyphenate creative mastermind has remained extremely busy — and firmly entrenched in the pop culture headlines — releasing a veritable multitude of new takes on his ten remastered Nike classics, all while serving as the frontman of his Off-White label, running Louis Vuitton’s menswear division, and trotting around the globe for raucous DJ sets in exotic locales. 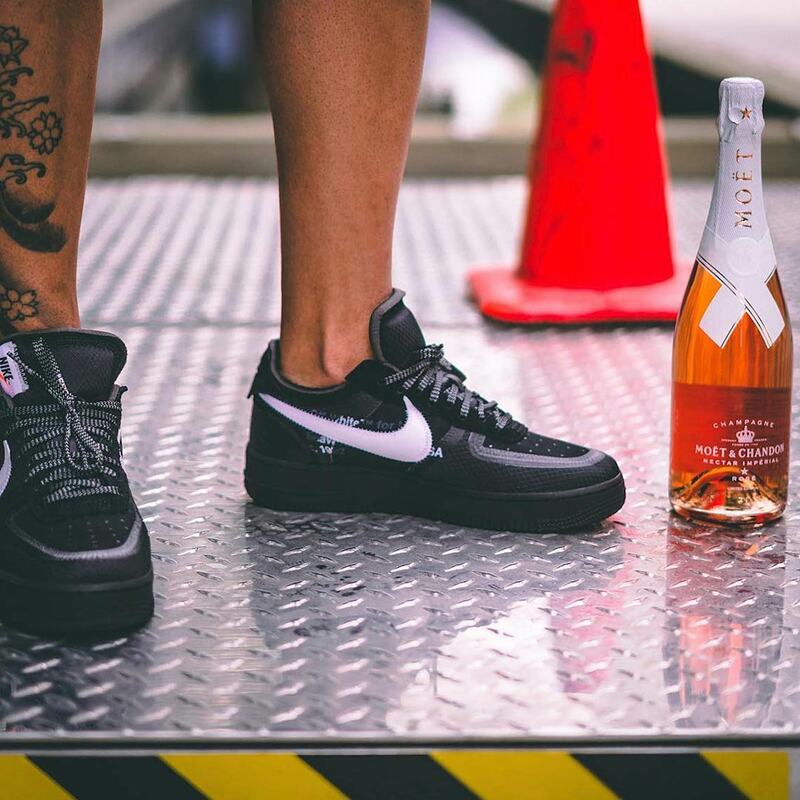 The newest pair of Abloh’s Nike shoes to surface amid his multitude of ventures? 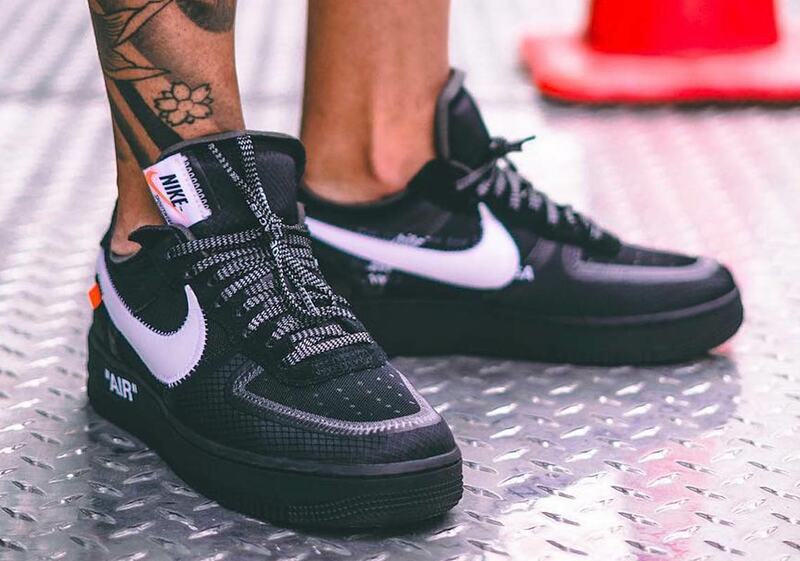 A black/white colorway of the Air Force 1 Lows. The upper features an interesting mix of materials from technical ripstop to classic suede, and each panel is accented by thick taped seams, putting focus on the 1982 classic’s timeless construction. 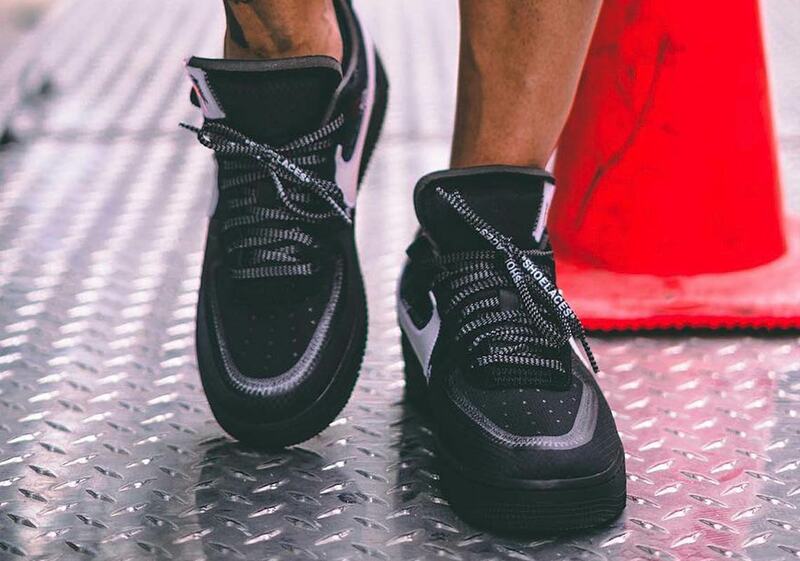 Abloh’s recognizable roughly stitched swooshes make an appearance — as does his signature Helvetica font — and exposed foam on both the tongue and collar add to the deconstructed detailing. Final accents arrive via flecked black/white laces, the off-center tag on the tongue and small orange tab on the lateral heel. 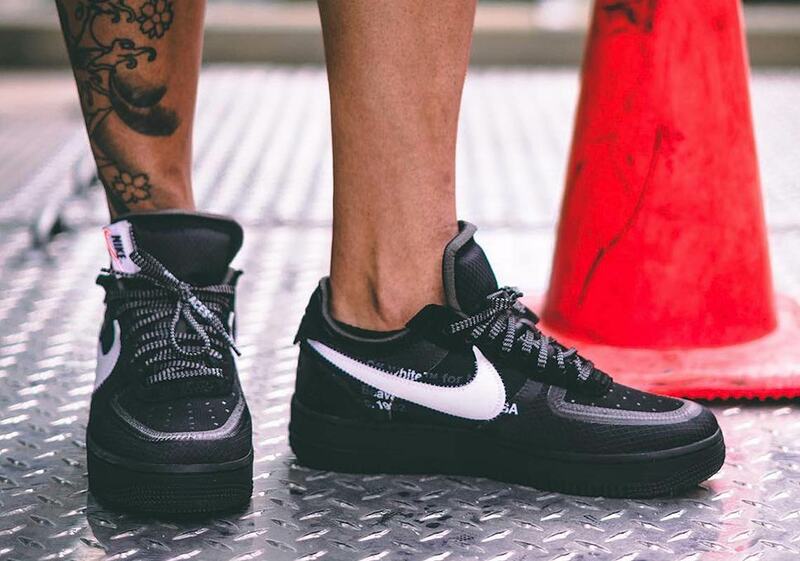 Enjoy a thorough look at the new kicks below, and stay tuned for release information as it’s available. 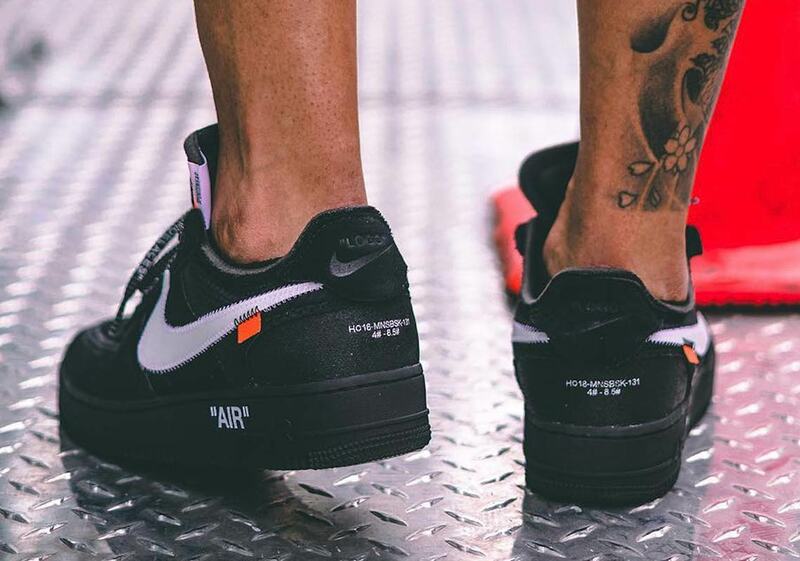 The post Detailed Look At The Off-White x Nike Air Force 1 Low In Black appeared first on Sneaker News.